There's something refreshing about an album that doesn't pretend to be anything other than what it is. Such is the case with Plenty of Heartaches, the debut offering from Vermont's Missisquoi River Band, released earlier this year. The album likely won't go down as a groundbreaking work of bluegrass ingenuity or some grand artistic statement. But as bassist and songwriter Cindy Weed puts it in the record's accompanying one-sheet, "We hope this is a delightful, easy-listening CD that many, many will enjoy." And on that score MRB certainly succeed. The band's core is the Enosburg-based songwriting trio of Patrick Murphy and Jim and Cindy Weed. Each brings a distinct style to the table. Murphy, a guitarist and vocalist, specializes in sentimental country and folk-tinged balladry as evidenced by the opening title track and songs such as the wistful "Taking My Time." Murphy owns a dusky baritone that colors his lovelorn musings with a blue hue. He's equally adept, however, at lighter fare, as evidenced by the cheeky, New Orleans-blues-inflected "If My Girlfriend Was a Tractor." The Weeds, meanwhile, write with all the warm nostalgia of a Norman Rockwell painting. Take this line from Cindy Weed's "Funny How Things Can Change." "In winter we ski for miles / through the deep and snowy woods," sings Murphy, who handles the bulk of the album's lead vocals. Then, "At night by the fireplace we'd sit / our hearts they were filled with smiles." A little precious? Sure. But anyone who has spent an evening huddled with loved ones by a hearth on a bleak midwinter Vermont night will likely find the sentiment appealing — particularly when the band breaks into dovetailing, three-part harmony at the chorus. Rounding out the group is a trio of exceptional local players. Will Patton, though perhaps better known for his gypsy-jazz leanings, is typically brilliant on both mandolin and National steel tenor guitar. Fiddler Neil Rossi adds a distinct Appalachian flair. Bill Gaston provides plenty of twangy licks on banjo and dobro, proving an able foil to Jim Weed's tasteful lead guitar work. There may be more dynamic and technically impressive local bluegrass albums than Plenty of Heartaches. But buoyed by plainspoken songwriting, sturdy picking and copious heartfelt odes to their home state, Missisquoi River Band offer a record that should find a place on the shelves of Vermont bluegrass fans — especially if that shelf rests in proximity to a wood stove. 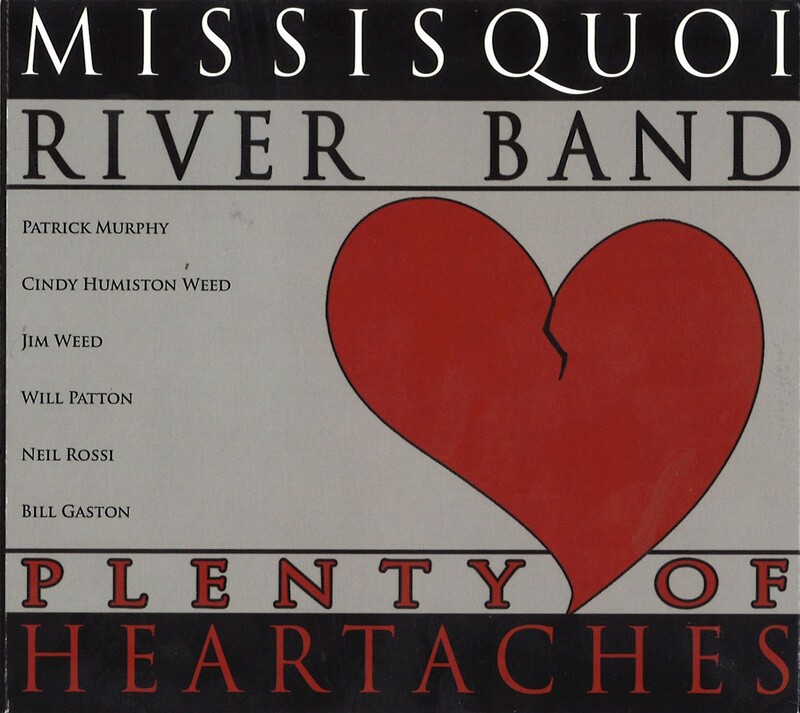 Plenty of Heartaches by Missisquoi River Band is available at cdbaby.com.